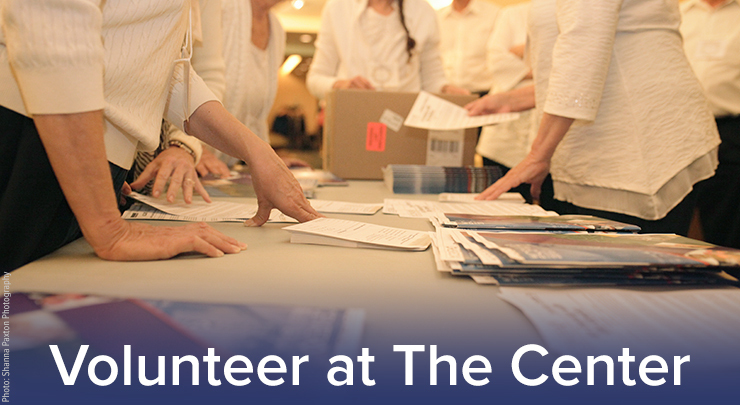 Before you start as a volunteer at The Center, we ask that you take part in a volunteer training. We anticipate this training will take roughly 45 minutes and will be sharing a training video that we created to better facilitate our training and the use of your valuable time! All trainings are held at The Center in the Black Box. We will begin promptly at 6:30 so please allow time for parking and to sign in. Parking in city spaces is free after 5pm and on the weekends. If you park in a private lot, please read all signs prior to parking. Advanced notice to us is not required. We look forward to seeing you in the audience!